Sarah leads the transactional practice of the Firm’s Motor Vehicle Group. She helps motor vehicle manufacturers manage the distribution network for their products by assisting them with the appointment of new dealers, drafting and implementing new dealer agreements and operating standards, navigating the sale of a dealership and the manufacturer’s right of first refusal and terminating a dealership, and documenting the manufacturer’s repurchase obligations. She also advises clients in establishing key policies and programs impacting product distribution such as brand standards and incentive programs. Sarah’s practice also encompasses the areas of business planning, general corporate matters and secured lending. She has extensive experience in structuring and documenting complex business arrangements for her clients, such as parts, extended warranty and service contract distribution arrangements, product licenses and agreements relating to the motor vehicle manufacturer-dealership relationship. She also represents lenders in connection with secured transactions, with a focus on credit facilities secured by partnership and other investment interests, and experience in motor vehicle consumer financing. 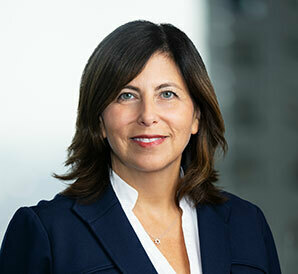 Sarah is an active member of numerous Firm committees and is former co-chair of the Firm’s Pro Bono Committee. Represented U.S. distributor in successful exercise of right of first refusal and assignment to a preferred candidate in a buy-sell transaction involving two brands in the southeast region of the U.S. Advised U.S. distributor in complex market transaction that involved consideration of the exercise of ROFR and closure of a dealership in a multi-brand buy-sell transaction in the northeast region of the U.S. Represented U.S. distributor in documenting financial assistance to a dealer for the purchase of real property for a dealership renovation, including documentation and recording of a restrictive covenant for site control on the property. Represented U.S. manufacturer in establishing mobile safety recall service program. Assisted U.S. distributor in drafting and adopting dealer agreement and related documents, obtaining distributor state licensing and appointing a dealer network. Represented U.S. distributor in drafting vehicle maintenance plan program documents, including dealer opt-in document and program rules and customer maintenance plan documents. Represented U.S. distributor in resolving disputes concerning repurchase of dealer inventory following voluntary terminations of dealerships. Represented national company in the sale of its steel drum reconditioning business. Represented hedge fund in the purchase of subordinated debt from a portfolio company.